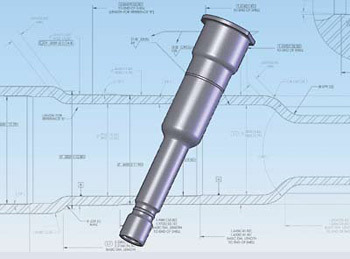 ITW Highland has high designs for creative conversion of your complex, costly, machined, screw-machined and tubed parts and assemblies into cost-effective, improved, integral stampings. Our engineering department designs tooling to manufacture deep drawn parts to your specifications, with an extensive knowledge of what truly works... and what doesn’t. ITW Highland’s unique capabilities expand the range of possibilities beyond what you may think possible with deep draw forming technology. We’ll consult with your engineers to analyze part features, sizes, tolerances, materials, secondaries and assemblies optimization as a deep drawn stamping.